Born in Cuba and raised in Brooklyn, Gene Mederos obtained his Bachelor’s of Fine Arts in Theater Arts from the University of Miami. Gene has designed and built sets for theatrical productions and events in Miami, NYC ad Santa Fe. His artwork has been shown in Miami, Tampa and NYC. Gene is also a published author of Sci-Fi and Fantasy stories. His stories have appeared in four anthologies to date. 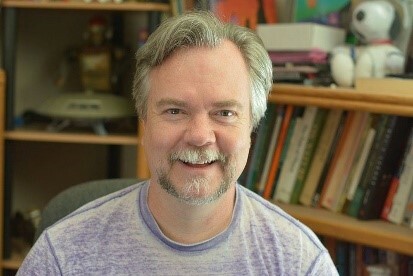 Currently, Gene is a filmmaker and animator living and working in Santa Fe, New Mexico. He teaches post production at the Santa Fe Community College and is the Chair of New Mexico Film Resource, a nonprofit dedicated to creating film jobs for film students in New Mexico. Over the last ten years, Gene’s films have appeared in Film Festivals in New Mexico, LA, Boston, Toronto and NYC. Rosanna Dill has been an IT project manager for 5 years, receiving her PMP in 2013, working for HP and Applied Biosystems. She currently works for the State of NM as an IT Business Analyst with the Department of Information Technology’s EPMO Team. 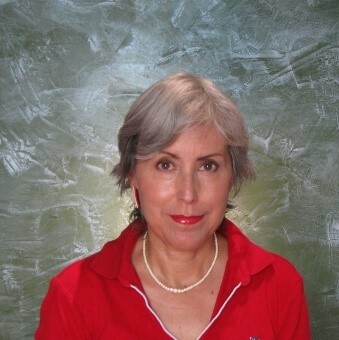 Rosanna has a BA in Architecture from Rice University, where she worked on several theatrical productions, including serving as costume designer for a production of Macbeth. 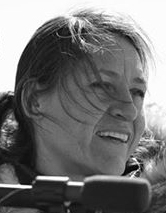 She has done costuming for motion pictures and television, including Better Call Saul, The Scorch Trials, Gunslingers Season 2, Manhattan, and Longmire. She is Executive Producer of the upcoming web series Specter Realty, as well as treasurer of NMFR and COO of Enchantment Arts LLC. Clint Hicks is a scholar of both media and technology. He got his start with Peter Norton Computing, where he eventually rose to become Technical Communications Manager before striking out on his own as an author. 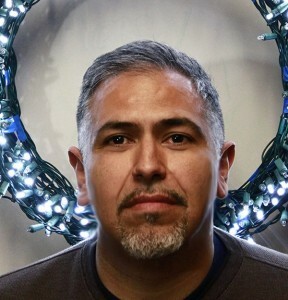 He holds a Ph.D. in Cultural Anthropology from the University of New Mexico, where his work focused on cross-cultural perspectives in storytelling, as well as its use in defining group identity and a sense of place, particularly in high-tech settings. Since that time he has managed both government and private-sector training and communications programs for a variety of Fortune-500 organizations. In addition to his secretarial duties with NMFR, Clint is writer and director of the upcoming web series Specter Realty and serves as CEO of Enchantment Arts, LLC. By day, Patrick Reid is a professional film technician. He maintains and operates all equipment from lights to cables. He currently works as a technician for the Film department at Santa Fe Community College and at MBS Equipment Co. By night he works as a gaffer and grip. Growing up an Air Force brat, Vincent’s family moved a lot. The movie of his childhood featured four years living in northern Japan. In school, he was much too curious to stay out of trouble. High school dumped him into the late Hippie counter culture. After a year of trying college, he went Back to the Land and the late Hillbilly/early Cannabis Cultivating subcultures of Northern Arkansas. 25 years passed in the Ozarks, raising two fine children with his wife, Linn and becoming a first class wood butcher. Adept in every phase of carpentry from felling a tree to producing a dining room table, staircase or timber framed structure, he still maintains a small shop. Coming to Santa Fe in 2005, Vincent appreciates the spectacular landscapes and rich cultures of northern New Mexico. In 2010, with the downturn of the economy, Vincent returned to school and earned an AAS in Film Production at Santa Fe Community College. 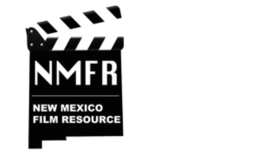 With NMFR from its inception, he is committed to its primary mission of providing practical experience to film students by partnering with community professionals. He enjoys working on independent films and documentaries in any capacity but especially in the camera/lighting department. And also, making movies starring his grandchildren. I was born in Mexico City and moved to Sweden when I was 8 years old. Since that time I have moved freely between each country, shifting between cultures and languages. Consequently, I have learned to adapt rapidly to new environments and appreciate unique views and ideas. My undergraduate experience at Paletten School of Art and Idun Lovén School of Art was intensively focused on drawing and painting with an extensive use of live models and still life. During my MFA studies at the University of Gothenburg, Valand School of Fine Art, I expanded my work into a variety of disciplinary fields, ultimately focusing on performance, installation and video. Both during and after graduate school, I have had exhibitions in different parts of the world including Sweden, Mexico, Japan and Germany. These studies deepened my capacity for “seeing” by expanding the visual vocabulary of my earlier classical training and enhancing my capacity for empathy and inventiveness. After living and working in Santa Fe for several years my attention turned to becoming a cinematographer. I enrolled in film classes at Santa Fe Community College (SFCC), which led to experience working on many projects inside and outside of the school environment. In addition to taking classes in film at SFCC, I have become a teacher’s assistant and an employee in the Film Equipment Cage, which has given me extensive technical knowledge in all the equipment we offer to SFCC students and faculty. Currently I am teaching film production to high school students at Monte del Sol charter school. This includes teaching my students all aspects of filmmaking: developing a concept, screenwriting, filming and post-production.